The story of Adelantado continues in Book Two – get ready for new adventures and unexpected twists! The sequel starts where the previous part left off. Don Diego has found a new path and now he continues his mission. There are still survivors from the previous expedition to save, glory to achieve and gold for the Spanish Crown to find. His crew, however, is tired. While some people start to rebel and abandon Don Diego, some stay loyal, and together they advance through wild jungles and endless swamps. The atmosphere is moody and grim but Don Diego tries to keep everybody cheerful, though an ever-present rival, Commander Rodriguez, is more evil than ever! 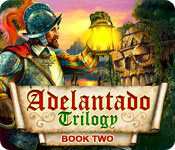 Adelantado Trilogy: Book Two is rated 4.8 out of 5 by 92. Rated 5 out of 5 by Momma_Llama from Need More Of This Game! I play these three games over and over again. Interestingly, however, I noticed that Book Three is no longer listed. I can get it through my previous purchases, but I find that odd. The whole reason I'm writing this review is to say I wish they would come out with more of these games. I played 4 Skulls, which seemed to be an attempt to make another of these games, but it didn't even come close. I love the feeling of freedom in these three games even though you are being led along a story line. The way everything is revealed a piece at a time along with having to search for some things (though finding all the hidden items isn't necessary and slashing down all the bushes can get a little bit annoying) is a ton of fun and gives the impression of a much bigger game than it really is. I hope you'll make more like these! Please? Rated 5 out of 5 by tattoo269 from Roll on book 4!!! I'm loving this game. Can't wait for book 4! Rated 5 out of 5 by blessed31 from Bring on Book 3 I have to have book 3! How much longer? 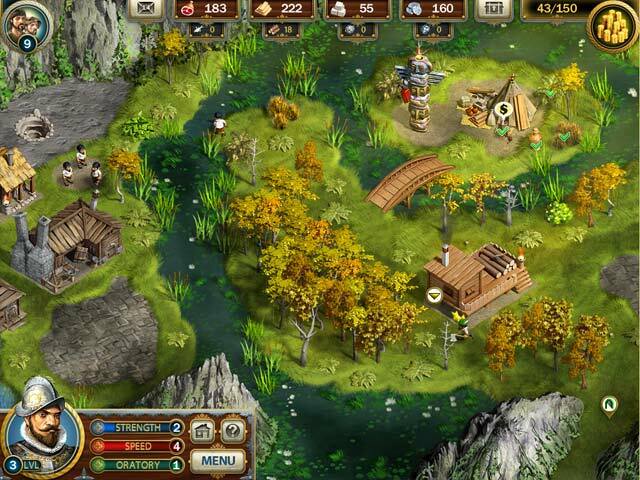 Rated 5 out of 5 by sinenomine_lj from Great game I really enjoyed this and would highly recommend. It is a great way to kill some time. Rated 5 out of 5 by diamond30k from The best Time Management Game Ever I love this game, I have purchased and finished all 3 books, I really hope they make a 4th. 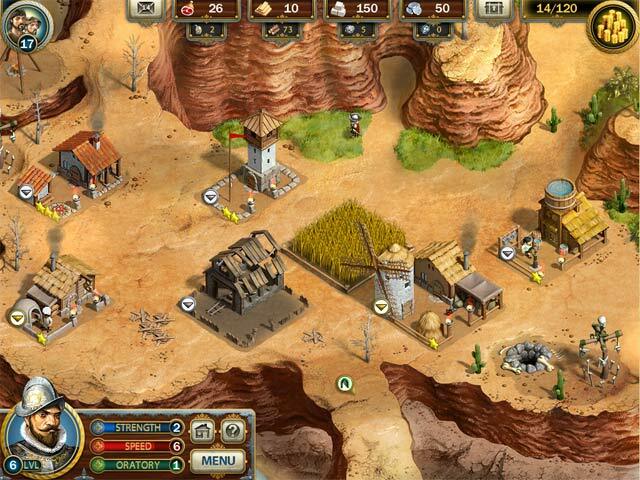 Rated 5 out of 5 by AngelBaby09 from Challenging and Fun I loved that you can place the buildings where you wish. It really makes the game that much more fun! There is not another series like it! Rated 5 out of 5 by Marie_Kai from Nice time waster I really enjoy this series. I will say that the second edition no longer requires you to go back and click the items that fall out of the jars which was a big draw back to the first edition. The story line is interesting although I mostly ignore story lines in games. Decent level of challenge and definitely not a short game. Rated 5 out of 5 by Aqutalion from More like this, please! These sim adventure games are my favorite genre of casual game, and there are precious few good ones available. The Adelantado series is definitely one of those! Music, graphics, etc., are basically the same as book one, as are the basic mechanics. If it ain't broke, don't fix it. There are some new building types to build, and you can now demolish up refresh existing buildings. 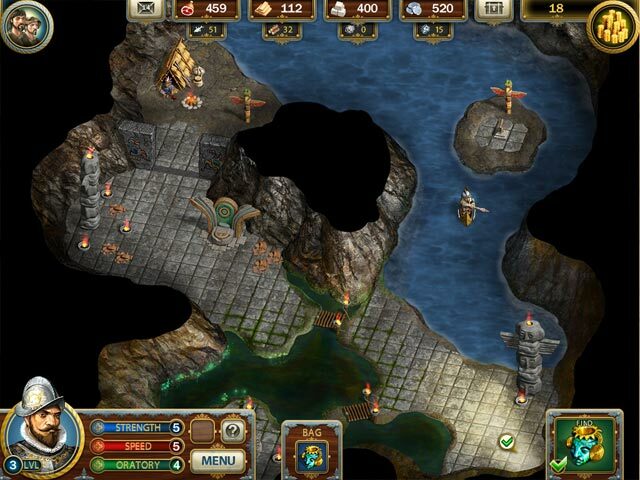 The levels are nice and long, allowing you to really put in some thought and sink your teeth into it. Strategy and planning, rather than fast clicking, is the name of the game. Yum! Book two has more interaction with the natives than book one, allowing for more storyline to be developed. Some of the levels are cleared through finding things and trading, rather than building, which gives some nice variety (although I still preferred the building ones). So try this game! You won't be disappointed! Now I'm waiting with bated breath for them to get the Mac version of book three done, already. Come on, guys! Get ready for new adventures and unexpected twists in Book Two of the Adelantado Trilogy!